“Sue and settle” practices result from lawsuits filed against the EPA by special interest environmental groups, namely pro-regulation groups such as Greenpeace and the Sierra Club. These groups sue the EPA in an effort to created court-sanctioned settlements that change EPA policy. Changes in policy and regulations resulting from these coercive lawsuits are widely unknown to the public, although they massively affect industries across the country. Regulated communities as it stands have little to no knowledge of or input on the issues being litigated. It is this problem that Pruitt’s directive changes protocol around, ultimately weakening the power of these special interest groups and of sue and settle practices. The directive is eightfold, but a few main points drive home its goals. The Agency shall publish any notices of intent to sue the Agency or complaints about the agency within 15 days of receiving such notice or complaint. Also, the Agency shall reach out to and include any states or entities that would be affected by the potential outcome of impending litigation. These provisions ensure the relevant public’s knowledge of potential changes to governing rules. The directive also allows for heavy input from the public on impending litigation, to be taken into account and affect the outcomes of litigation. The Agency shall provide sufficient time for public comment on proposed rules, publish proposed settlements with a 30-day period for public comment, and provide public hearings on such proposed settlements on request. Additionally, consent decrees and settlement agreements shall be published in a timely and easily-accessible manner. Currently, it is incredibly difficult to track down a record of EPA policy changes resulting from sue and settle. As decisions made in these cases become governing rules of the EPA affecting the entire nation, the lack of transparency is incredibly unsettling and adds an additional hurdle to comply with the law. 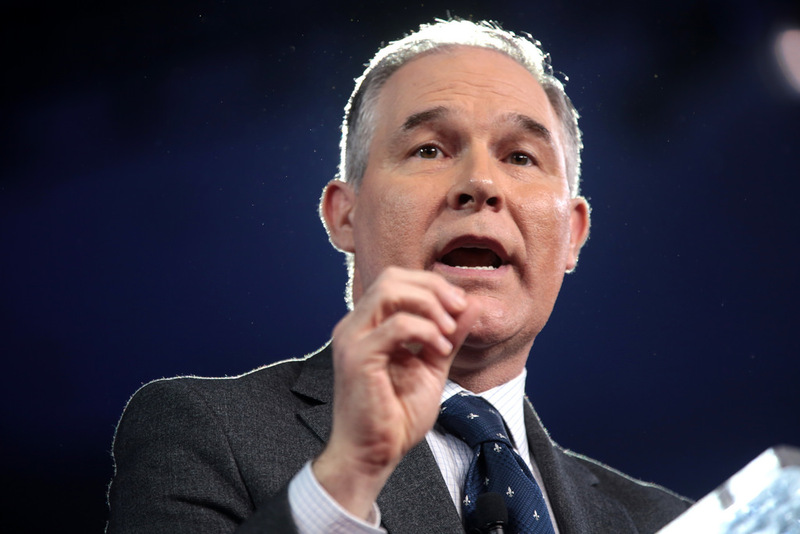 These protocol changes in handling lawsuits filed against the EPA make the Agency more proactive in including those previously without a say in the process, and at the same time ensuring that the public knows readily the issues on which they can have a say. Special interest environmental groups love sue and settle precisely because it is shrouded in a lack of transparency. Knowing that they are the only ones actively involved in shaping the consent decrees and settlement agreements that result from filing a lawsuit against the EPA allows these groups to get what they want, without public pushback. Administrator Pruitt’s directive lessens the allure of private interest environmental groups to file lawsuits in the first place, and it also increases public participation in the workings of the federal government. In opening up this process fully to the public, and to other influential and important voices directly affected by outcomes of sue and settle, the EPA accomplishes multiple laudable goals, each one working to advance the larger movement for government transparency and accountability.